- Outer tube is 1.75″ x .120″ wall Round DOM. Let us know if you have any questions regarding our T4R Rock Sliders! I just ordered a set of these. I'm assuming they will work with a Trail edition as well since the Trail has the same/similar rocker panels. Thank you (again) for the order! I also responded to this in the email last night, but for everyone else's knowledge wanted to answer here as well. Hai @Pelfreybilt ... Do you have any pictures of the bolt-ons supporting the weight of the vehicle? Looking to make quite a large purchase sometime next year and I want to have everything laid out in a spreadsheet beforehand. Thanks Satin / Tyler. 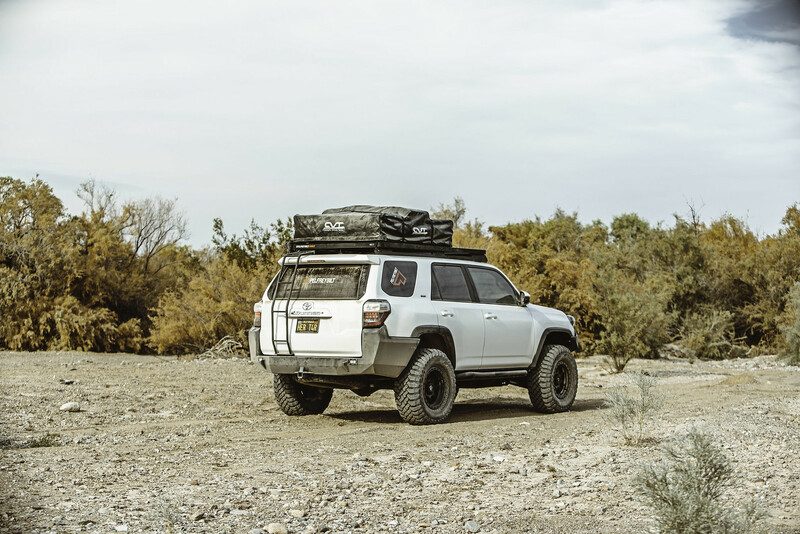 Unfortunately, we do not have the exact photos you are asking for, but both our 4Runner & Tacoma sliders have been put to the test numerous times w/o issue. They are designed for off-roading & therefore are built very strong! I hope this helps reassure you of the quality of our products! Oh I am aware of the quality. My taco is pelfrey'd out right now and the armor gets used heavily. oh fabulous! who is this?? I'm still learning everyone's screen names vs real names! Name is Cody AKA Red ..
Pelfreybilt [OP] and Bob like this. Anyone out exploring with their Pelfreybilt sliders? If anybody had a set of these on order with Pelfrey before their "downfall", please reach out to us.